Yesterday, Neuralstem Inc, announced that it has received approval from the FDA to start its Phase 1 human clinical trial of the NSI-566 stem cell therapy. The therapy is targeted to people suffering from debilitating spinal cord injuries and a total of 8 patients is expected to be enrolled. Candidates for enrolment are people with thoracic spinal cord injuries with an AIS A level of impairment, one to two years after receiving their injury. The patients will be divided into two groups, each one consisting of 4 people. All individuals will receive a total of six injections which will contain human spinal cord stem cells (HSSCs). Each injection given to the first group will contain 100.000 HSSCs whereas the injections of the second group will contain 200.000 HSSCs. The main goal of the study is to test the safety of the treatment and to report any possible adverse effects. It will also record HSSCs survival ratio and any improvements that patients may experience after receiving the treatment. The company is also running, since 2010, another human clinical trial on Amyotrophic lateral sclerosis where the same stem cell therapy is applied. For now, all their results from their animal and human studies indicate that NSI-566 is safe to use with little adverse effects reported. Another study has shown that the therapy improves motor and neural functions in mice who had a recent ischemic shock. The company also announced that it will commence human clinical trials, again with NSI-566, in China to treat patients that were left paraplegic after a stroke. They have also scheduled a human clinical trial in Korea for the coming summer. 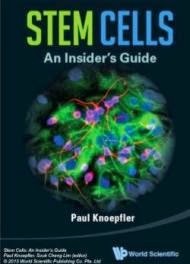 It should be noted that Neuralstem is currently the only company running human spinal cord injury stem cell clinical trials, after Geron Corporation cancelled its own.